A performance & wellness coach will meet with you to assess your current health concerns, complete your initial fitness evaluation and design your 3-6 month plan. After your initial evaluation, you will meet as needed with your personal coach to help ensure you are progressing as efficiently as possible. Clients meet 1 time per week, month or quarter, depending on their current fitness level, goal and other support systems they have in place. Save your time, money and life by calling us today 352-428-6368! Message us today to achieve your best self with GIME! 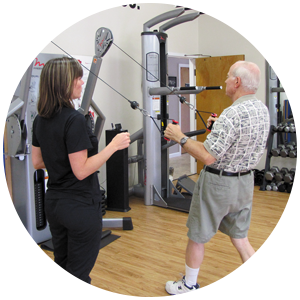 GIME offers advanced fitness programs to provide guidance, motivation and support!